With the actualization of demonetization, cash transactions became the nightmare for all. Business came to a standstill and the economy crumbled. It was of utmost importance to instill such a payment method that would be accessible and effortless and would help merchants’ business grow. Atom Technologies realized the need of the hour and devised a simple application mGalla, which would help merchants accept digital payments on their fingertips. mGalla- Payment app for seller had an elementary intent, and that was to make people comfortable with accepting and making digital payments. It simplified the way people look at digital transactions by providing a host of options which are accessible through one single application. mGalla was devised to make one’s cash-less transactions seamless and secure. It addresses all the needs of a merchant, being one stop solution to all payment related hassles. 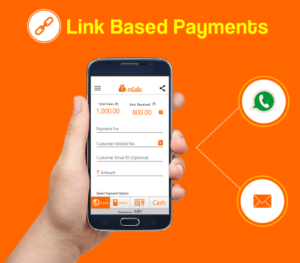 Link Based Payments allow a merchant to generate a payment link which he can send to his consumer via Whatspp, SMS, or e-mail. The customer has to make the payment by opening the link and inputting relevant bank or card details while sitting at his home. Link can be generated in seconds by just entering customer’s name and mobile number. Bharat QR Scan & Pay allows the customer to make quick payments through scanning the QR code. The merchant has to generate a dynamic QR code for the customer, through which the customer can make the payment by scanning the following code with his respective banking application. When making payment through a dynamic QR code, the customer isn’t even required to input the amount. 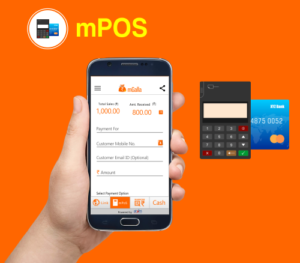 mPOS or mobile point of sale are portable devices that allow a merchant to accept credit or debit card payments at any hour of the day, from anywhere. To accept payments, the merchant has to sync his mPOS with his smart phone, which is a one-time activity, and then he is ready to accept CHIP or swipe card payments from any customer, at their doorstep. UPI or Unified Payment Interface is a revolutionary way where a customer can make payments using a virtual payment address.It provides them with security and benefit of not inputting their bank details again and again. Payer’s virtual address is all that a merchant needs to initiate the payment request. All you need to do is download the application and undergo a quick sign up process and there you go! Treat your business by providing it a host of payment acceptance options. An easy to use application, catering all businesses, big or small. mGalla allows you to maintain a directory of all your transactions, minimizing your work and payment worries. Grab the latest version of mGalla application from Google Playstore at, and help towards making India a Digital Economy. That is rеally fascinating, You’re an exceѕsively profeѕsional blogger. I’ѵe jⲟined your rss feed and stay up for seeking more of your magnifiϲent post.